...because it's not too late for you to become a true icon of the 1980's! 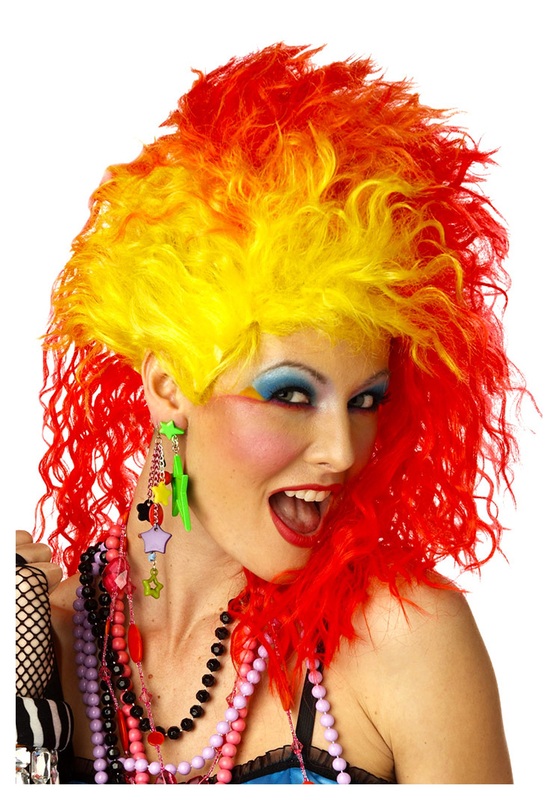 This True Colors Wig will bedazzle all your high-waisted acid wash jeans and off-the-shoulder shirts, offering you signature style that will stay with you all through the night...even into the next day! This orange and yellow side flip hair pairs perfectly with your revolutionary personality. We know you just wanna have fun, so here’s a bonus: you can rock this wig long after Halloween! Just slip on the mesh cap of this two-tone wig, top your look off with a ton of jewelry, and make your way down to karaoke. No one will even mind your signing up for the first ten songs, provided you show your true colors and work the mic!